In 2012, the College of Charleston’s Special Collections Library was awarded a second CLIR grant to facilitate the processing of the William A. Rosenthall Judaica Collection. A previous CLIR grant allowed Special Collections to complete processing of Rabbi Rosenthall’s papers and begin efforts to digitize and provide metadata for prints, photographs, and postcards in the Judaica Collection. This new grant has allowed Special Collections to bring in two new archivists, Project Archivist Sarah Glover and Processing Archivist Amy Lazarus, to process Rabbi Rosenthall’s extraordinary collection of Judaica and oversee the continued digitization of items from the collection. 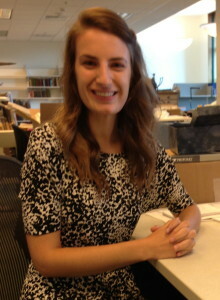 Sarah Glover joins the project as Project Archivist for the William A. Rosenthall Judaica Collection. Sarah earned her MS in Information with specializations in Archives and Records Management and Preservation of Information from the University of Michigan School of Information in 2012. She also holds undergraduate degrees in English, History, and Jewish Studies from the University of Illinois at Urbana-Champaign. Sarah reads German and speaks and reads Hebrew. Sarah has previously had the opportunity to work in academic archives and libraries, government archives, historical societies, and museums. She has gained valuable experience working at Jewish institutions such as the Museum at Eldridge Street, American Jewish Historical Society, and Leo Baeck Institute. Before coming to the College of Charleston, Sarah worked at the Leo Baeck Institute on the Institute’s DigiBaeck project, an effort to digitize the entirety of the Institute’s archival holdings. Sarah is excited to bring her background to the William A. Rosenthall Judaica Collection and thrilled to have the opportunity to work with such an incredible collection of Judaica! Amy Lazarus is excited to join the project as the William A. Rosenthall Judaica Collection processing archivist. She received her MLIS with a specialization in Archives, Preservation and Records Management from the University of Pittsburgh in 2011 and holds a BA in English from the College of the Holy Cross. 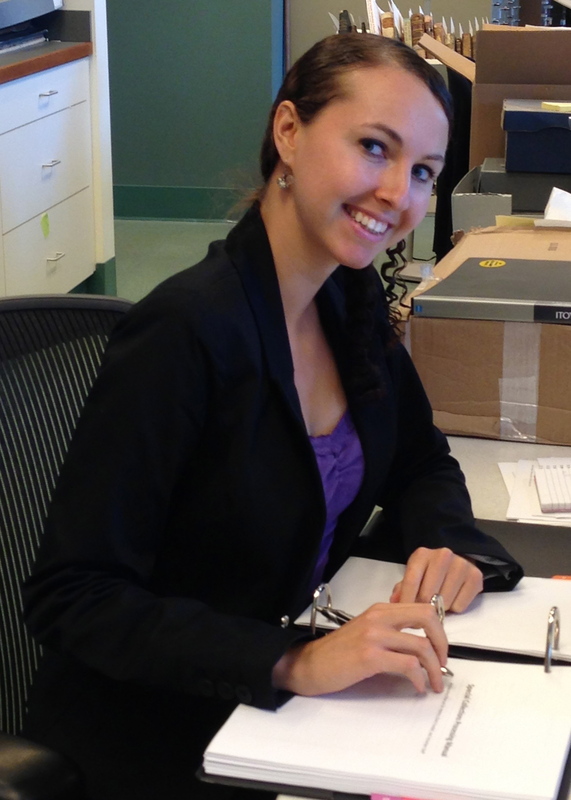 Over the past four years she has gained extensive processing experience in a variety of institutional settings. Her professional background includes positions at a research library, medical library, museum archives, and a government agency. Additionally, she is an active member of the Society of American Archivists currently involved in the Government Affairs Working Group. As an undergraduate, Amy was awarded the Kraft-Hiatt Program for Jewish-Christian Understanding Fellowship to study abroad at Hebrew University. Upon her return she continued to take coursework related to Jewish history, developing an active interest in Jewish traditions. Her experiences as an undergraduate led to the ultimate goal of tying her academic interest in Judaism to her work as an archivist. Upon seeing the opportunity to work with such a valuable part of the College of Charleston’s Jewish Heritage Collection, she eagerly pursued the position of processing archivist. She is grateful for the amazing opportunity to encourage appreciation and understanding of Jewish culture through making the William A. Rosenthall collection available to scholars, students, and the general public. This entry was posted in CLIR, Staff.